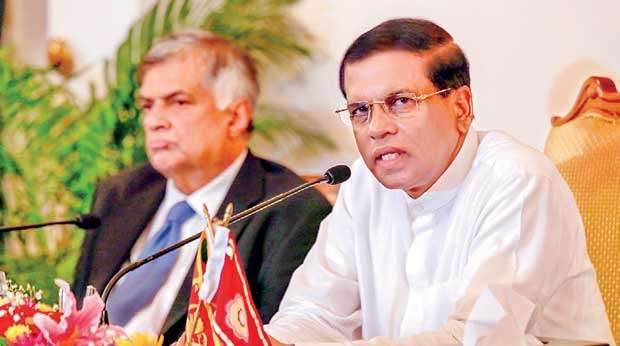 To improve SOEs’ performance and following many controversial appointments to State-owned enterprises in the past, President Maithripala Sirisena has issued fresh instructions on selection criteria in a bid to eliminate controversial and poorly qualified candidates. Issuing a circular to all ministry secretaries, President’s Secretary Udaya Seneviratne informed all ministry secretaries that all appointments should be first cleared from his Office. The Prime Minister also has said it is a good concept to follow when appointing people to key institutions. The President has proposed to appoint a committee comprising public officials to decide on these appointments. The quality of the appointments will however depend on the quality of the people appointed to select the directors and chairman. This should have also been the case for selecting secretaries to key ministries. Given the capability and bandwidth of our public service, the ability to effectively match skills and personality to a specific job function has always been challenge. In the private sector this is a vital component of successful management and leadership. Picking the wrong person for a key task in the government has been a major reason for failure in the public sector and for squandering tax payers money. The other challenge for the public sector is paying a competitive salary. This is crucial to recruit and retain top talent. To recruit and retain well-qualified and professional human capital, it’s vital to pay a salary that matches or exceeds industry. This is not possible in the public sector. The other challenge is the allocation of institutions to Ministries, it would be prudent to allocate them on the basis of similarity of subjects. In the past subjects and institutions have been allocated to ministries illogically. For example, all institutions under the Banking and Finance sector (excluding Employees Trust Fund Board), all institutions under Insurance & Lotteries and Hotel Developers Lanka Ltd (under Marketing & Distribution), Lanka Hospitals Ltd (former Apollo Hospital) have been allocated to the Ministry of Public Enterprises. Similarly, other State-owned Enterprises can be allocated to Ministries with related functions. For example, the institutions under Health must be slotted in under the Ministry of Health while the Ministry of Media which should be an independent ministry, must have the institutions named below (under media) under it. Proper clustering of institutions with similar functions in one ministry will automatically ensure the concentration of experts in that field in that ministry. It will enable the minister in-charge to strategize and focus on the development of the functions and optimize the income generation opportunities of institutions under him. To do this he needs a competent team. State institutions can best serve national, economic, and social goals by performing efficiently and effectively and thereby generating surpluses and contributing to the national budget. SOE management therefore, must encourage a competitive work culture by hiring and retaining talented individuals and encourage meritorious people to join them. The perception that SOEs are hierarchical and bureaucratic, where job promotions are based more on personal connections and seniority rather than performance discourage talented people to join their ranks. When applicable, SOEs should therefore provide higher compensation packages for critical jobs and the selection must be done in consultation with people who have the ability to effectively match skills and personality to a specific job function.